4.4 out of 5 stars based on 30 votes. Today we’re going to talk about St. Lucia’s passport investment program, which now is one of the cheapest and fastest citizenship-by-investment programs in the Caribbean — ESPECIALLY IF YOU ARE SINGLE. First, we’ll go into why it’s important to consider buying a passport from another country, and whether Caribbean passports are worth the money. Then we’ll cover the investment options and cost of a St. Lucia passport, and which of Saint Lucia’s CBI paths is the best (and least expensive) way to buy a second passport. And if you’re married and/or have children, we’ll tell you which other island offers the cheapest second passport program for families. Finally, if economic citizenship is too expensive for you, we’ll detail some alternative routes. Read on for more – there is a solution that’s right for you. Are You Considering Buying A Passport? Saint Lucia is not the only option… Download our Citizenship By Investment Comparison Sheet to see ALL available programs side by side. A second passport is, in essence, an insurance plan. You might not ever “need” your home’s fire insurance, but having it gives you options and freedom — and helps you sleep well at night.. You know you can always fix your home – or even build or buy a new one – simply because you took the time and money to acquire that insurance. The same goes for citizenships. Having a second citizenship gives you freedom and options. If things go to pot in your home country, a foreign passport allows you to get on a plane and GO… no questions asked. Once you’re overseas, you can stay for as long as you like. You can work abroad. You can often purchase foreign property without as much red tape. Your tax situation might even change (for the better!) if you don’t live in your home country. The history of many CBI programs aligns with the history of storms, because rebuilding the island nations after major natural disasters requires lots of money. The history of many economic citizenship programs tracks the history of tropical storms. Why? Islands are vulnerable, and rebuilding infrastructure requires a lot of money. That’s in a good year. The Caribbean tends to get hammered no matter what year it is, but the 2017 hurricane season was especially brutal. 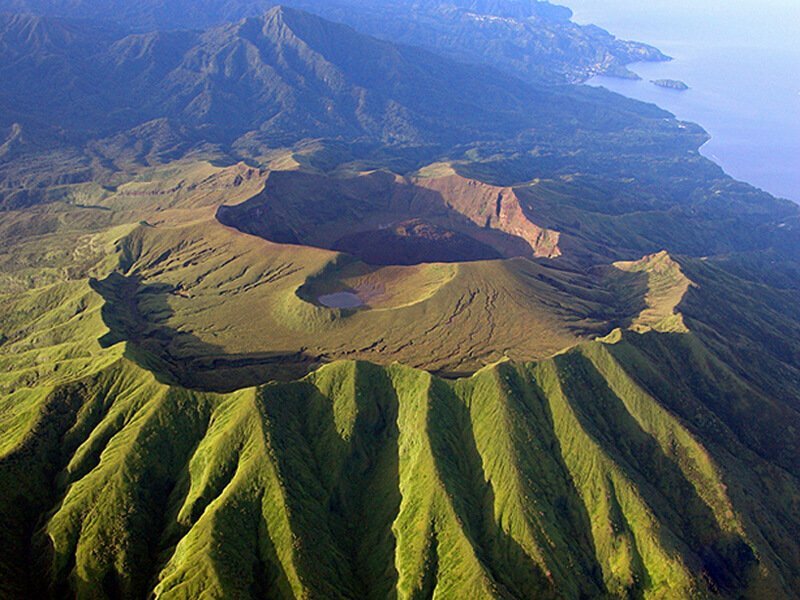 Although the island of St. Lucia (Saint LOO-sha) was not as damaged as Antigua and Barbuda, Dominica, the British Virgin Islands or Puerto Rico, tourism still suffered. St. Lucia has a couple of main sources of income: Tourism and bananas. With those in jeopardy, St. Lucia turned to another — relatively new — source of income… its citizenship by investment program. Instead of paying around $200,000, (application + fees) for a passport on another island, you can get a St. Lucia passport for about $100,000 (single applicant, plus fees). Why Choose a Saint Lucia Passport? Saint Lucia is an English-and-French-Creole speaking British Commonwealth in the Caribbean, famous for its volcanic mountains (It even has a drive-through volcano!). It’s located just north of Venezuela in the far Eastern Caribbean, bordering the Atlantic. Economically speaking, St. Lucia is a midrange island, neither as rich as the Bahamas nor anywhere near as poor as Haiti. It has a laid-back sensibility and is a real pleasure to visit. But why pick Saint Lucia for your second passport? For one thing, the cost of St. Lucia citizenship is currently one of the cheapest among Caribbean citizenship by investment programs, especially for single applicants (i.e., those not applying with a family or other dependents). A CBI program – also known as an economic citizenship program – allows you to quickly and legally acquire a second passport by making a donation or investment in that country. You basically purchase a passport — and you get it, fast. Unlike naturalization programs, which require wait times of several years (plus lots of hurdles to clear), investment citizenship programs can provide citizenship in just a few months. St. Lucia has one of the newest CBI programs in the Caribbean; they started it in 2016. (Saint Kitts, in contrast, has had their program for decades.) Before that, Saint Lucia mostly relied on tourism, agriculture and light manufacturing to provide income for the island. The economic citizenship program is indeed new, but the benefit of going with a relatively untested program is that they’ve studied what worked and didn’t work in other CBI programs and made theirs more efficient. Additionally, there’s not currently a huge backlog of applications, so yours won’t likely be bottlenecked. Saint Lucia practices residence-based worldwide taxation. However, you do not need to declare or pay taxes to St. Lucia if you don’t live there. Even if you live there (spend more than 183 days a year there) but keep your “permanent home” abroad, St. Lucia will tax you only on income generated within its borders. Additionally, St. Lucia will tax a portion of your worldwide income that you transfer to the local bank to cover your living expenses there. On a bright side, St. Lucia will NOT tax your worldwide income that you do not bring to the island. Only when you establish your permanent home in St. Lucia – buy a house, move your family, base all your economic activity there – do you become liable to also pay taxes on your entire worldwide income. There are also no capital gains or estate (inheritance) taxes. Dual citizenship is recognized. You will not need to give up your current citizenship when you acquire a St. Lucian one. You don’t have to visit St Lucia if you don’t want to as there is no residency requirement (although if there were — hey, it’s not Siberia). That’s it. Within a few months, you should have your second passport. As one of the newer programs in the Caribbean, St. Lucia ’s citizenship by investment scheme offers a direct route to dual citizenship that cherry picks the best aspects of older CBI programs in the Caribbean. Again, there are four routes to gaining St. Lucia investment citizenship – donate to a government fund, invest in a business, purchase property or buy government bonds. Here’s a summary of your options for how to purchase a passport in St. Lucia. Here’s a summary of your options for how to purchase a passport in Antigua and Barbuda. Investment of at least $3,500,000 in an approved business when applying solo. None of this is cheap, but if you are in the market for a second passport, note that St. Lucia’s citizenship program is less expensive than rival programs in some ways (e.g., for single applicants making a donation) and more expensive than others (virtually everything else). Also keep in mind that additionally, you’ll have to pay a commission to a registered agent (a required middleman) who will lodge your citizenship application with the government. You can choose to work with a world-famous service provider and pay tens of thousands of dollars in fees, or work with a much smaller firm and pay a fraction of that. The end result, however, will generally be the same – second citizenship and a passport. If you’d like to get the government’s take on things, here’s the official site of St. Lucia’s citizenship by investment program. 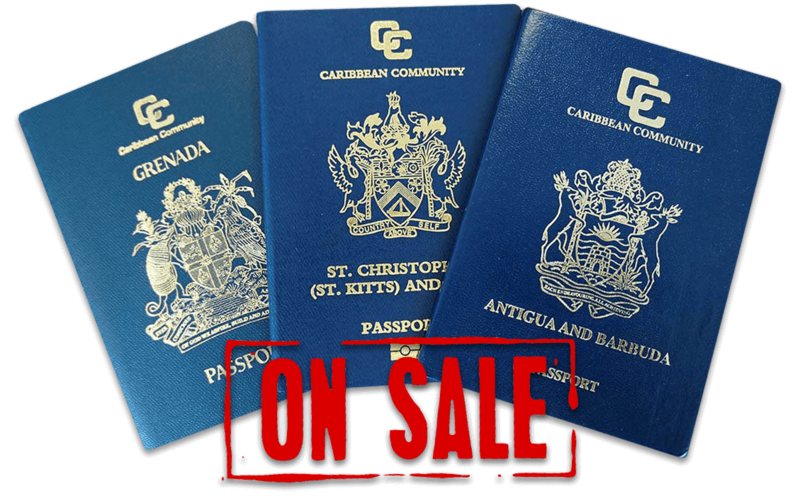 Now let’s discuss your four options for buying a second passport in St. Lucia. St. Lucia’s NEF track is one of the best and cheapest second passport options for a single person right now in the Caribbean. Unless you’re planning on living in St. Lucia full-time – buying property might not make as much sense as donating to the National Economic Fund. Instead of buying a property for $300,000, plus $59,500 in government and processing fees (for a single applicant), you only donate $109,500 for the single applicant (all processing and due diligence fees included), $180,500 for you and your spouse, or $217,500 (all-in) for a family of four. The major drawback with this option is that, unlike with real estate, there’s nothing to sell. This is a donation option, so once the money is gone, it’s gone. But it is still far cheaper than the real estate, business, or bonds route. Ensure you know what you’re getting into before choosing a Caribbean real-estate investment option for a second passport. Governments sometimes require you to spend hundreds of thousands of dollars on an overpriced government-approved property that will be difficult to sell at a profit later. Unlike, say, Antigua, where the likes of Oprah Winfrey and Eric Clapton have bought property, the former British colony of St. Lucia isn’t as star-studded. Bottom line: Luxury homes may provide a gorgeous view of a classic mountain-studded coastline, but selling them later might prove problematic. Still, if you want to relocate somewhere with a stunning rainforest, huge green hills and a few B (as in British) celebs, Saint Lucia just might be your cup of tea. To qualify for St. Lucia immigration via real estate, the rules currently require you to invest at least $300,000 in a government-approved real estate project on the island and hold it for a minimum of five years. Right now, there are only a handful of approved projects, falling into two broad categories: high-end branded hotels and high-end boutique properties. Both Antigua and St. Lucia allow investors to put money into a local business (although St. Lucia requires a much larger investment). The upside is the potential for profit. The downside is that this route requires the most money — $3.5 million directly into an eligible business as a sole investor; or via a joint investment involving at least two persons totalling $6 million or more, with each investing at least $1,000,000 individually. You also must create three jobs. Approved categories include: restaurants; cruise ports and marinas; agro-processing plants (think: bananas); pharmaceutical products; ports, bridges, roads and highways; research institutions and facilities; and offshore universities. St. Lucia has not approved any projects as of this writing. But even if it did, this route creates tremendous risk, as well as liabilities and taxation issues. Pass. Saint Lucia is the only country in the Caribbean where you can obtain a passport via government bonds. The bond does not pay interest and must be kept for at least five years. The benefit of going this route is that, although these bonds do not bear interest, you do get your money back at the end of the five years. Still, we find this to be an uncompelling route. Why buy the bonds — and make no interest, and have no assurance of the country’s solvency (hence the economic citizenship program in the first place) — for north of half a millions dollars when you can either buy property or donate to the NEF for far less? Other readers gave this article an average rating of 4.4 stars. 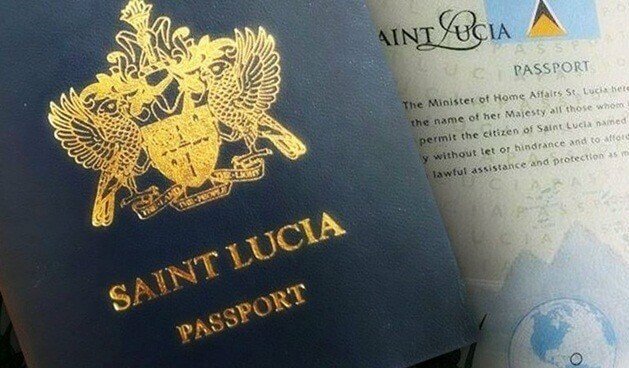 Quality of a Saint Lucia Passport – Is a Caribbean Passport worth the money? There are many ways to determine if the passport is good. The size of the economy, the number of visa-free countries you can access, the country’s geography and even its climate can all play a role. The visa-free element is key when it comes to buying a passport. Most countries require visas from certain non-nationals who wish to enter their borders. A passport allowing visa-free travel to X number of countries cuts way down on hassles and wait time (It can take months for certain nationals to get visas to travel). Visa-free status also indicates that the country of the passport holder and the country he wishes to enter have a positive relationship. If you have a passport from Sudan, for example you’re only going to get into 40 countries without a visa. But if you have a German passport, you can travel virtually anywhere in the world (179 countries and territories), unrestricted. Passports from Caribbean island nations tend to fare well on the international stage. Not as well as EU, Australian, Canadian or US passports, but you can still get into more than 100 countries with most of them. No Caribbean passport will give you unrestricted access to the United States, Canada or Australia. As for the quality of a Saint Lucia passport, you can get into 132 countries, visa-free, as a St. Lucian. This includes the UK, Hong Kong, Singapore, and the Schengen Area, which is a 26-member region in Europe that allows for passport-free travel once you’re within its borders. Other countries in the Caribbean – such as St. Kitts or Antigua — offer visa-free access to a few more countries (9 and 8 more, respectively) than Saint Lucia does. And Antigua is currently the cheapest economic passport option for families, so if those factors are important to you, check out our research on those options as well– here for Antigua Citizenship By Investment and here for St. Kitts Citizenship By Investment. Does “More Visa-Free Countries” Equal “Better Passport”? The answer is “it depends”… It depends on which additional countries you get and how likely you are to visit them. For example, a passport may offer 10 additional countries, but also cost tens of thousands of dollars more… We encourage you to think it through carefully and consider whether these additional visa-free countries are worth the cost. To help you do this, we’ve created a detailed Citizenship By Investment Comparison Sheet that shows you the differences in visa-free travel between all citizenship-by-investment passports. Use this sheet to ensure you avoid overpaying for a passport that doesn’t provide significantly more value. We have an in-depth article covering all currently available citizenship by investment programs that will give you a complete overview of all the options available to you. 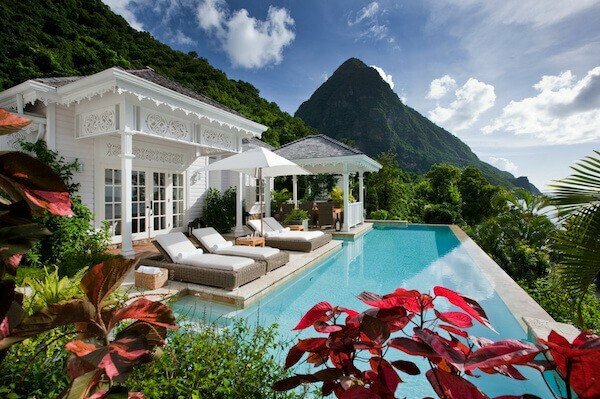 Saint Lucia’s program is definitely the best value option for single applicants. But in the Caribbean, the country of Antigua and Barbuda offers the cheapest second passport option for families. To get this much cheaper economic citizenship route, you donate to Antigua’s National Development Fund (NDF). As with any donation option, the major drawback with this route is that, unlike with real estate, there’s nothing to sell. You donate. Goodbye money. But hello, passport. Passports – plural. Find more details about Antigua’s economic citizenship program here. Antigua also offers 8 more visa-free countries compared to St. Lucia. I encourage you to download our detailed Citizenship-By-Investment Comparison Sheet to find out which additional countries Antigua offers over the other passport options. This will help you decide how much they would be worth to you. Economic citizenship is not for everyone. For one thing, it’s really expensive. But it’s not just about money. Other factors – which we cover in this article on how to determine if citizenship by investment is right for you – are also important. Ancestry: If you are lucky enough to have parents, grandparents or even great-grandparents from the right country, you may already be eligible for a second passport through citizenship by descent. This option is often the cheapest and the quickest way to qualify for a second passport. You can learn more about citizenship by descent in this in-depth article. Time: If you are willing to pick up and move to a new country, this option may be for you. After you obtain permanent residency in a country, become eligible for a second passport through naturalization. If you don’t have ancestors from Europe (citizenship by ancestry), or a few years to spare in a new country (citizenship by naturalization)… and if donating around $150,000 won’t make a severe dent in your budget, then you should indeed consider economic citizenship. It’s fast. It’s permanent. And your children will have it as well. St. Lucia’s citizenship program is a solid option. You should especially consider it if you are currently single – St. Lucia is the cheapest donation option in the Caribbean for single applicants, save for Dominica’s program. Having a second passport as part of your Plan B is critical. A Plan B ensures that if things get bad in your home country, you can still live, work, conduct business and travel. No questions asked, no delays at the airport, no snafus. Think of a Plan B as a crucial insurance policy… and the passport element one of its cornerstones. Diversifying makes as much sense in life as it does in investing. That’s why it makes a lot of sense to think about your international options and take action… now (before the rules and/or fees change). And even if nothing happens and you never “need” your Plan B, you’ve got a second passport from a tropical paradise.